Sometimes trees need to be removed, the reasons are many and varied. A tree maybe dead, or dying. It may be leaning at an angle that it is unsustainable, or most commonly it may be the wrong species in the wrong location - that cannot be meaningfully reduced and retained. All other options should be considered before removal is set in motion. ie; can it be pruned or reduced in size to a safe, manageable specimen. Can just the dead or dying branches be removed. In the right environment, standing deadwood is excellent for wildlife habitat. Dead branches and trees can provide a habitat to a host of flora and fauna (especially birds and bats). The general rule is to leave deadwood (or dead / dying trees & trunks) standing if you can. Similarly, cut and stacked cordwood left in piles is excellent habitat for hedgehogs. 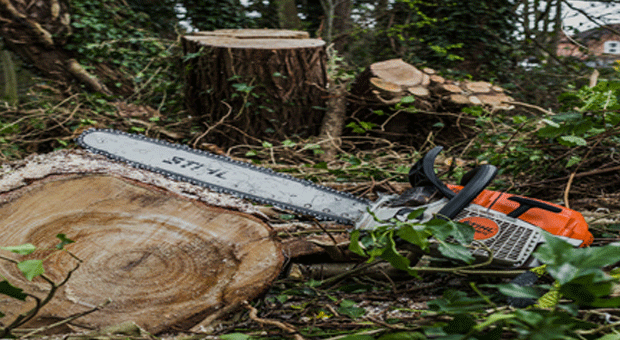 Tree felling & removal should be carried out by qualified, professional, fully insured operatives. The actual method of any tree removal should be individually assessed and planned to avoid danger or collateral damage. Based in central Somerset Arbortech Professional Tree Services Ltd host a team of experienced of tree surgeons and arborists with all the necessary training and experience to carry out your tree work professionally to the highest standards.